Suite of specialist centres and training programs to help executives manage technological innovation have emerged. As executives come under pressure to drive digital transformation and spearhead initiatives around big data, the cloud and smart devices, a suite of specialist centres and training programs to help them manage innovation are emerging. Forced to adapt for risk of being overtaken by digital-savvy rivals such as Uber, Airbnb and Google, managers need specialist skills to overcome the many tech challenges they will face. As digital leadership becomes a focus, sweeping digital changes are driving a shift in emphasis in the education and training of executives. MIT Sloan, Tuck School, ESSEC, and Oxford Saïd have all moved in this direction. 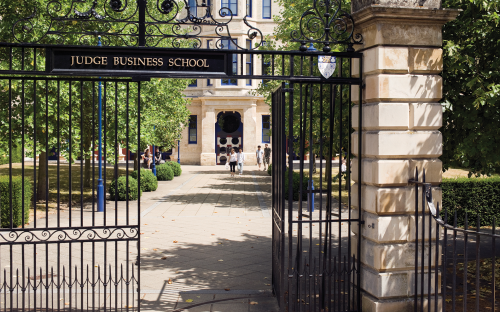 “The digital revolution has come to business schools,” says Jaideep Prabhu, professor of enterprise at Cambridge Judge Business School. The British school last year launched the Digital Business Academy in partnership with Tech City UK, the government body promoting tech businesses, to provide students with digital and business skills. Future leaders are taking courses on tech tools such as social media and data analytics. “There is a revolution in the curriculum,” says Jaideep. For example, the Global Center for Digital Business Transformation was established last year at IMD, the Swiss business school, funded with $10 million from Cisco Systems, the US network equipment company. Mike Wade, director of IMD’s centre, says managers are under pressure from their boards and from consumers to hone digital transformation — which has the potential to transform operational processes and, ultimately, top-line growth. “The conversations are switching from why? To what?” Mike says. Companies are also under pressure from new entrants who threaten to disrupt their business models. “The fear of being ‘Uberized’ abounds,” says Ted Malloch, fellow in management practice at Saïd Business School, which this year launched the Oxford Polaris Digital Academy. Disruptive technologies are disintermediating entire corporations and are transforming interactions with the market, he says. While many businesses are keen to drive digital transformation, this is hard to pull off — 70% of transformation programs fail, according to research by McKinsey & Company. Alva Taylor, director of the Center for Digital Strategies at Tuck School of Business, says traditional enterprises face the challenge of reforming established philosophies and cultures when trying to implement and pivot with technology. “Managing that evolution requires rethinking longstanding trade-offs between standardization and innovation, efficiency and flexibility, and centralization and decentralization,” he says. The challenges are many: leadership; a lack of digital talent; and organizational culture are but a few. “Taking risks needs to become a cultural norm,” says David Kiron, executive editor of the MIT Sloan Management Review and former senior researcher at Harvard Business School. Ana Garcia-Granero, a post-doctorate researcher at Grenoble École de Management, a top French business school, argues that there is a connection between innovative performance and a risk-taking climate within corporations. Building digital skills is also critical. “Businesses will have to continually up their digital game to retain and attract [talent],” says MIT Sloan's David. At a senior level, digital talent is also needed. A study by the consultancy group Capgemini found businesses are desperate to hire outside talent to manage digital initiatives. “A new breed of senior executive is required to help large organizations progress easily and successfully through digital transformation,” says Dr Jim Hamill, who leads the Digital Leadership initiative at Strathclyde Business School. Nicolas Glady, director of the Center for Digital Business at ESSEC Business School, like many of his counterpart stresses the need for leadership. “If the highest levels of a company fail to propose a digital vision, digital transformations cannot happen,” he says. But companies need managers who can master digital initiatives while still focusing on business outcomes. “We need talent who understand digital technology, but see those technologies as a means and not an end,” he says. Is This The Future For The EMBA?